With pristine white-sand beaches, challenging golf and world-famous fishing, Destin, Florida is located on “The Emerald Coast” in the state’s panhandle. Known as the “world’s luckiest fishing village,” the region offers emerald-hued waters, high-end dining and world-class resorts. And, with the recently opened Northwest Florida Regional Airport, Destin is now easily accessible. One of the most luxurious resorts in the area, The Henderson, a Salamander Beach and Spa Resort, is located near to the airport and close of the Big Kahuna’s Water and Adventure Park. 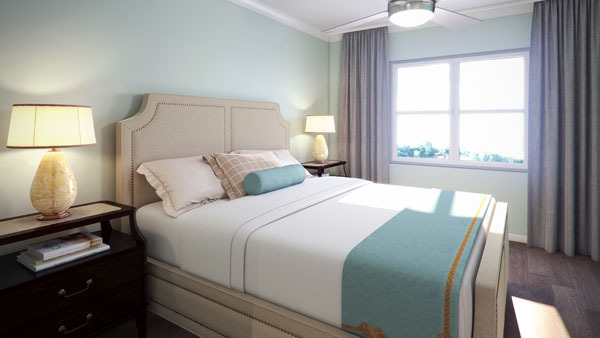 It’s a 4-star, family friendly resort with close proximity to gator Beach and Henderson Beach State Park. The resort offers 170 air-conditioned rooms with minibars and private, furnished balconies. There’s complimentary Wi-Fi access (always a welcomed amenity) and bathrooms with separate bathtubs and showers, featuring a deep soaking bathtub. Activities abound at the resort! With their location on some of the most breathtaking stretches of sand in the world, and the tranquil jeweled waters of the Gulf of Mexico right at our doorstep, there is literally an endless list of activities and attractions for everyone to experience. Whether you’re more of the adventurous type, you can spend days exploring the undersea wonders with a mask and snorkel, or try your hand at paddle boarding. If you prefer to just chill-out poolside with a refreshing cocktail, you can spend a leisurely afternoon drifting down their lazy river while soaking up the Florida sunshine. Tap into your creative side and take a craft or arts class to create your own artistic momento of your vacation in paradise. To truly appreciate the breathtaking Emerald coastline and marine life take a helicopter tour that glides past the high rises, white sand beaches and clear emerald waters where you can easily spot sea turtles, dolphins and sharks. After a day on their private beach, guests can indulge in a pampering treatment at the resort’s full-service spa, Salamander Spa. The spa is open daily and equipped with a sauna, eleven exquisite private treatment rooms and a wet area with an experiential shower, whirlpool tub, a luxurious couples’ suite, sun-lit relaxation spaces, and a full-service salon. The Salamander Spa experience transcends beyond the 10,000 square feet of spa bliss. The resort is committed to fitness and offers classes throughout the year. From rooftop yoga and Barre, to H.I.I.T and Zumba, there’s something for everyone. Dine at one of the Henderson’s 4 restaurants, or relax in your room and take advantage of the 24-hour room service. 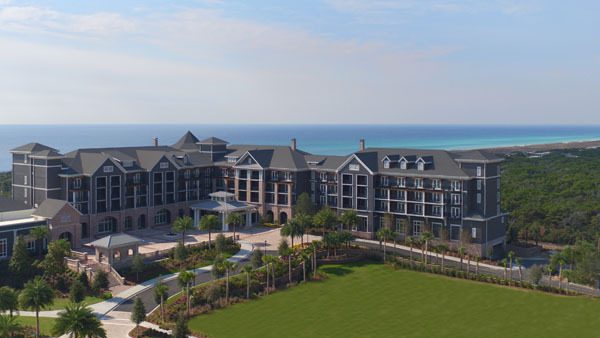 Don’t miss their signature restaurant, Primrose, with breathtaking views of the Emerald Coast. With an inspired menu of some of the freshest seafood, savory steaks and creative, healthy fare, Primrose features an ever-changing Chef’s Dock-to-Table menu, sushi bar, a dramatic display kitchen and private dining areas for intimate affairs. Kids will love “Sprinkles” where they’ll find some of the coolest and tastiest classics like Root Beer Floats, Sunday Sundaes and indulgent milkshakes. Sprinkles also offers a Grab and Go breakfast including specialty coffees, bagels and pastries. 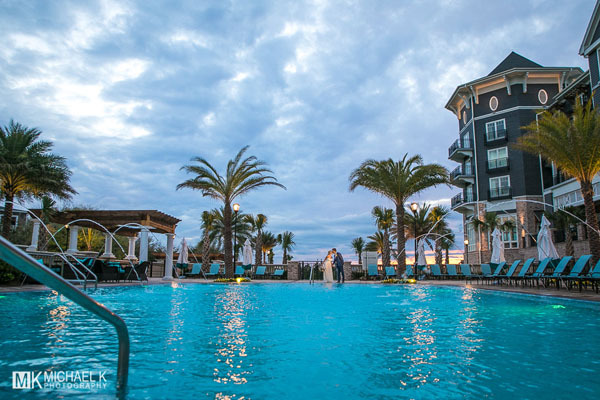 Guests of the Henderson Beach Resort receive complimentary day pass access to Henderson State Park offering natural features such as sand pines, scrub oaks, and dune rosemary. Pristine white sugar sand beaches and more than 6,000 feet of natural scenic shoreline make for an unforgettable day for your entire family.